Nothing is too good for your first born child. 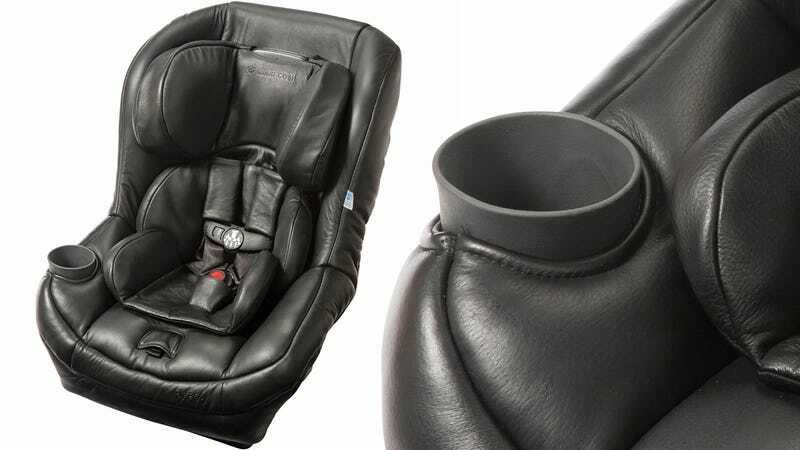 From a $3,000 Aston Martin-branded stroller, to this hand cut and sewn leather car seat from Maxi-Cosi that will set you back $875. A princely sum that would otherwise sound ridiculous were it not for the adorable tiny integrated cup holder.